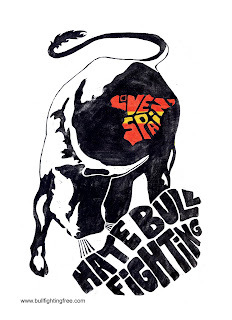 This is my design for The League Against Cruel Sports and Don't Panic's 'Love Spain, Hate Bullfighting' poster/logo competition. One winner will be selected from the 20 designs with the most votes, plus 5 wild cards. So to vote for mine Please go to dontpanic.com Voting will go from today until 23:59:59 on August 13th.